← What’s Your Architectural Guilty Pleasure? New Orelans was amazing…. and also a little hellish, but that’s what I get for going someplace in a high-tourist season. My favorite thing was to just wander around and look at the architecture….and the grafitti. I love grafitti, not the kind that’s this is my gang area or Leroy was here, but the unexpected bit of art kind. 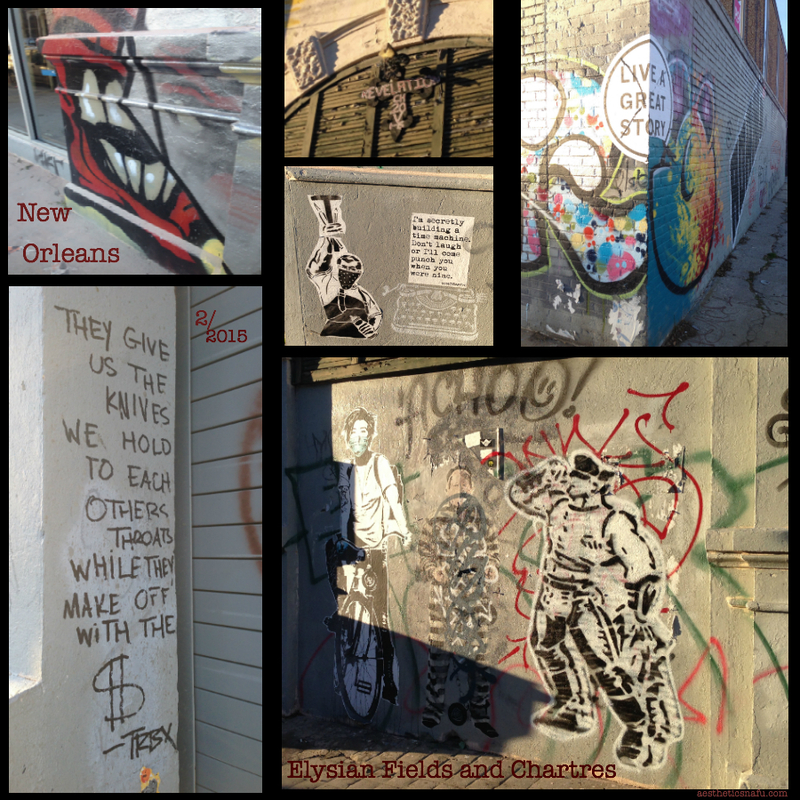 There was a ton of fantastic graffiti in New Orleans. Notably, the historic houses were mainly clear, artists, even taggers, saved their efforts for sidewalks, signs, and abandoned buildings, which I really appreciate. I think it showed a lot of respect for the area. Another sign of respect? People didn’t grafiti over each other’s art. 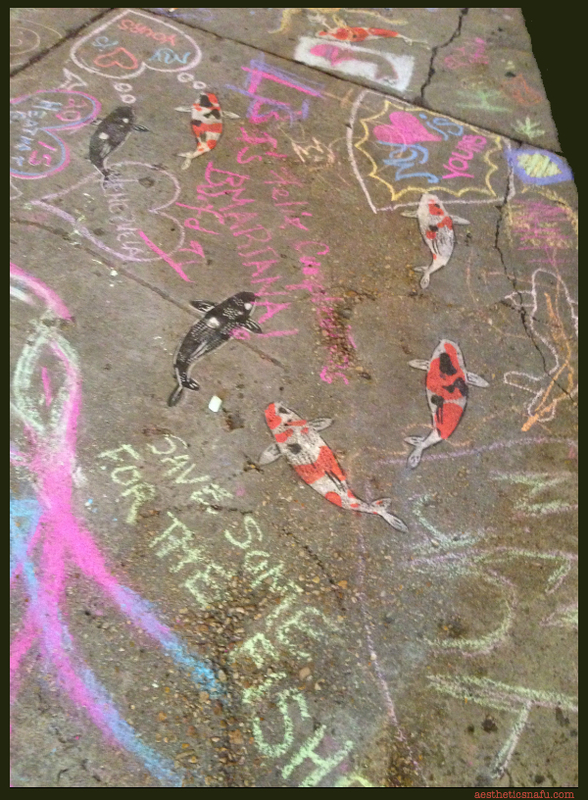 I fell in love with these koi on the ground by Jeremy Nova – particularly with editorial comments. 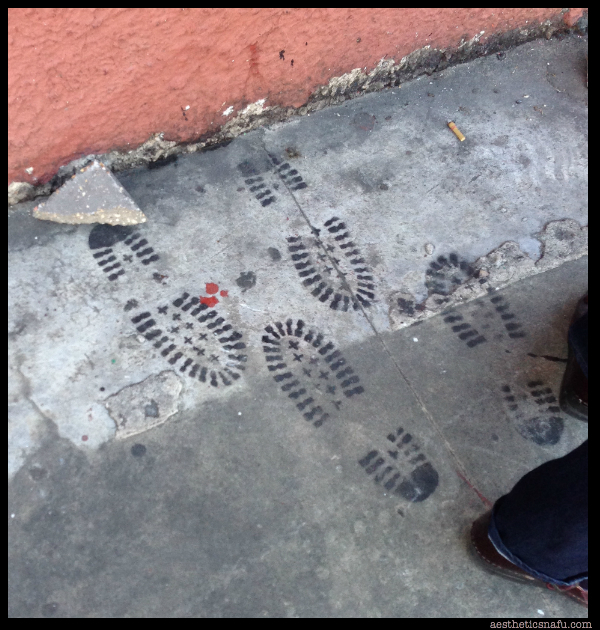 I also loved these footprints also by Nova. 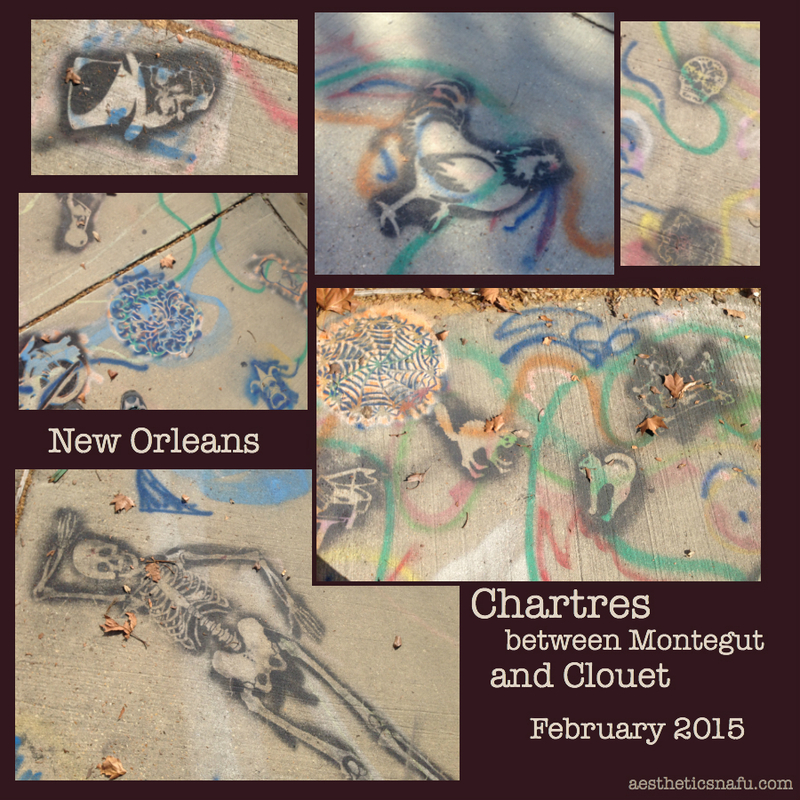 Being in New Orleans made me realize how much I love art on the sidewalk. Sidewalks are so boring. Speaking of unexpected sidewalk art.